The Oneida County Land and Water Conservation Department, along with the Wisconsin Department of Natural Resources, has some pieces of forestry equipment to rent out to landowners and/or contractors. 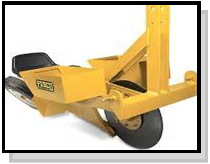 Available are a tree planter and anchor chain (aka scarifier). 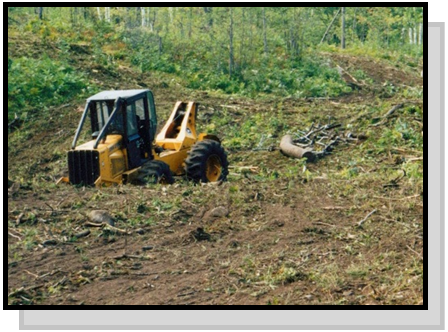 If you are involved in logging operations and/or forestry restoration, keep us in mind for the right piece of equipment. You do not have to be an Oneida County resident to lease any of the following equipment. This pull-behind tree planter is great behind an ATV or tractor, but a hand planter is also available. A hand planter is good to use if you do not have many trees to plant or are in areas that the pull-along planter cannot reach. The hand planter can also be used on natural areas where motorized vehicles are not allowed or not desirable. ﻿ Our anchor chain, also called a scarifier, is used to provide a mineral soil seedbed for natural or artificial seeding, or for planting on larger parcels of land.